This is a copy of Hansard of 7 May 2014 where the Canberra Liberals set out their objections to Capital Metro. MLA Alistair Coe first moved a motion opposing light rail and spoke in support of his motion. Minister Simon Corbell then spoke against the motion, followed by Greens MLA Shane Rattenbury. Opposition Leader Jeremy Hanson then spoke against light rail, and this was followed by Liberal MLA's Nicole Lawder and Giulia Jones. MLA Alistair Coe then spoke for his motion again and it was put to the vote. (b) consider alternative ways to improve private and public transport between Gungahlin and the City, and other parts of the City. The opposition has strong concerns about the light rail project. We believe these concerns are representative of the community at large. Whilst there is no doubt that the vast majority of people like the idea of hopping on a tram to go from point A to point B, unfortunately point A and point B may not correlate with those of people living in Canberra. The case for favouring light rail over bus rapid transit has not been strongly made, especially when the submission itself points to the stronger economic performance of a bus rapid transit option. If Infrastructure Australia do not think this is viable, why do they think that it will still work? Why do they think that the private sector will back this? We have heard the government tout the project as being a PPP. If it is a genuine PPP, where the middle P, the private sector, take on the risk, that would be a very interesting project. However, it seems to me that all the risk and the vast majority of the funds will come from the government—that is, the taxpayers. It may well be a PPP in construction, but it will not be a PPP in risk or funding. Regardless of whether the government pays a company or a consortium in cash or in land, one way or another, this is going to cost the ACT many resources. I do not deny that light rail is the flavour of the month around Australia and in many places around the world. But, as many cities are finding out, not every place is suited to an at-grade tram. Hobart and Perth have had similar projects proposed, but both have been abandoned. Not only did the Perth project not stack up, but it was the ALP opposition in Perth which contributed to the project not getting up. How things are different out west. I am concerned that there will be minimal demand for light rail against the peak hour traffic flow and during off-peak times. I acknowledge that at peak times there is a fair chance the trams will be full going southbound from Gungahlin and, in the afternoon, northbound to Gungahlin. Between 7.30 and 9 am and between 4.30 and 6 pm I have got no doubt that there will be very high capacity on those trams. However, who is going north to Gungahlin at 8.15 in the morning? And who is going south to the city at 6 pm on a Tuesday night? For the whole project to stack up, the patronage has to be consistent throughout the day. There have to be high patronage levels in both directions throughout the day. I simply do not see how this is going to happen with what they are proposing. At the Gold Coast, the cost has spiralled out to $1.3 billion for just 13 kilometres. That is $100 million per kilometre at the Gold Coast. In addition to that, the former Labor government said that 50,000 people would ride the tram each day. That has now been revised downwards to 17,000 to 25,000, less than half of what the original projection was. Over there, up in Queensland, it is only just viable as a private sector project. Even then, many are saying that in fact it is not viable as a PPP. And the demographics and population density of the Gold Coast are far more conducive to light rail than they are in the ACT. The government has advised that 4,500 people will use capital metro to get from Gungahlin to the city each weekday morning. At present, there are more than 3,000 people who use the Northbourne Avenue corridor southbound every morning. So 4,500 people are going to go south on light rail, but at present more than 3,000 are currently using buses. In terms of commuters, we are only looking at an additional 1,500—at most, 1,500. This to spend $614 million! Part (b) of the motion is about other routes in a potential ACT-wide network. Yesterday I asked a question of Minister Corbell about the staging of the future rollout of the network. He said that the master plan will provide advice to the government about the rollout, about the staging. That is important, and I am glad it will. But why was that information not provided prior to committing to Gungahlin to the city? It may well be that this government is doing a tremendous disservice to light rail in the ACT by putting forward a route that may not be viable. And, of course, we on this side of the chamber believe it is not viable. The staging of a light rail network is vital. It is vital so that the maximum economic return and patronage levels can be returned. In any system, there will be some routes which are more economic than others. This is especially the case when the routes are stand-alone, such as Gungahlin to the city. By getting the staging right, less economic routes can feed off the more economic routes and therefore collectively be more economic than they would be as stand-alone routes. Therefore it is absolutely vital to get the staging right. Unfortunately, the ACT has not considered which leg is the most important one to start the light rail network. They have simply committed to Gungahlin to the city without proper analysis of the other routes. The ACT has simply gone ahead without economic analysis and said that it is in Canberra's best interests to start a light rail network with Gungahlin to the city. Where is the economic analysis to back the $614 million of capital expenditure? We are concerned that the time frame and cost could blow out considerably from the $614 million and the four or five years for construction. As we have seen with so many of the government's projects, they simply do not get it right. Whether we are talking about the secure mental health facility, the Canberra Hospital car park, the ESA headquarters, Tharwa bridge, the GDE or the Cotter Dam—all have blown out considerably. The Cotter Dam is a classic one; it went from $120 million to $410 million for the main dam wall. The GDE went from $53 million to $200 million. With ESA headquarters, it was 13 to 76. With the Canberra Hospital car park, it was $23 million to $43 million. With the secure mental health facility, which we are still waiting for, it has been $11 million to $25 million—and who knows what it will actually finish up at? We know that $614 million is already a conservative cost compared to that of the Gold Coast. Let us also remember that the Northbourne Avenue corridor will have to be dug up. Who knows what water pipes there are, whether it be sewerage or town water pipes? What about electricity cables? What about gas? What about communications—defence communications et cetera? Many of those will be insulated with asbestos. We have some tremendous challenges with this project, all of which I think could contribute to the cost blowout and to a time blowout. The cost of financing the project is likely to be significant. If the government borrows between $500 million and $600 million, even at a conservative interest rate, we are looking at $20 million per year. That is a huge amount of money to recoup off the cost of running light rail. To think that you are going to get $20 million in fair revenue for one route is extraordinary. That brings into question the whole PPP. If, in the full operating costs, you have got $20 million a year in financing expense, who is going to take this on? Who is going to take this on? We have some very big problems to overcome, and I am concerned that the government has not properly considered all of them. Everyone likes the idea of hopping on a tram, but is this tram actually going to live up to what the government is promising? The operational cost is not yet known. How much is it going to cost to operate? It is a simple question. The government has given me some indicative advice of around $7 million. I have doubts that it is going to cost just $7 million. And who knows whether that $7 million includes fare revenues, so whether it is a net figure, or whether it is simply the outlays? But one way or another, when you put in the operational costs and the cost of finance, we are up to a huge amount. Therefore a PPP is looking very dicey. I believe that land in the light rail corridor could be developed independent of light rail. I believe the government want to bring density to Northbourne Avenue. They can do that right now. We have already seen that in several projects. We have seen it with Space and Space 2. We have seen it with the Axis apartments. We have seen it with IQ, which is being constructed at the moment; the Avenue apartments; and numerous hotel developments and commercial buildings up and down Northbourne Avenue. There is already a mood for investing in Northbourne; we do not need to spend $614 million to spark that. The government talks about uplift a lot—the uplift we are going to get from Northbourne Avenue. For the purpose of the scenario, let us choose a round figure of $50 million. Let us say that you can get a block of land, one of those public housing blocks of land, that is worth $50 million at present. With light rail, let us say it is worth $60 million. What the government is doing is saying, "The uplift is $60 million. "No, it is not. The uplift is the just the difference. It is the marginal benefit the light rail brings. It would be $10 million in that scenario. The Canberra community and this chamber have to be very careful that we do not get fooled into thinking that every single dollar that comes in uplift is a dollar which could only come as a result of light rail. Northbourne Avenue and the broader corridor can be developed without light rail, and we have already seen that at Flemington Road. The government's own economic analysis suggests that bus rapid transit will offer a better economic return. In a submission they put to Infrastructure Australia, they said that light rail will deliver $2.34 per dollar but bus rapid transit will deliver $4.78. By their own analysis, bus rapid transit would deliver double the economic benefit. And, in addition to that, they may well have inflated the cost of bus rapid transit to well over $300 million, which I am somewhat doubtful about. We believe that Northbourne Avenue should be preserved as a potential light rail corridor at some point down the track. But, especially in this economic climate, we do not think it stacks up to spend $614 million on this project. We should be preserving transit corridors across the city. We should be looking to the future with regard to preserving corridors so that at some point in the future we can build and upgrade public transport if we want to. But as it stands at the moment I do not believe the government has made a sufficient case to either the opposition or the Assembly, and definitely not to the people at large, as to why it is going to spend $614 million on this project. We believe that the bus system in Canberra can and should be improved. It can and should be improved. We have seen the success of the 200 service. Whilst it was oversold at the start as being a rapid express when it was not a rapid express, it was still a good, frequent bus service, at 15 minutes. It has been popular. It is far cheaper and far more versatile than what the government is proposing with light rail. How are they going to get the patronage so much higher than we are currently seeing on the 200, to a level which would make this project viable? The opposition has real concerns about what the government is proposing. Like, I think, most people, we like the idea of hopping on a tram in Canberra, but the reality is that it simply does not stack up as an economic proposal at this time. MR CORBELL (Molonglo—Attorney-General, Minister for Police and Emergency Services, Minister for Workplace Safety and Industrial Relations and Minister for the Environment and Sustainable Development) (3.56): I thank Mr Coe for the opportunity to speak about this very important project today. First of all, I am pleased that the Liberal Party have nailed their colours to the mast and have told the Canberra community that they have no vision, they have no view, that after 10 years in opposition, indeed over 10 years in opposition, they have no concrete proposals to deliver better public transport for our city and our community, no clear vision about how they are going to accommodate urban growth, no clear vision about where the future residents of this city are going to live as our population tracks toward half a million over the next 30 to 40 years—no vision for the future at all. Their only transport proposal in the last election was to build more car parks. That was their position in the last election—more car parks, more roads, more asphalt, but no concrete vision for a more sustainable, a more liveable, a more walkable city that delivers on public health benefits, sustainability, more lively public spaces, better economic activity and a better future for our residents, for our citizens. That is their lack, and it is confirmed in the terms of the motion today. The government will not support this motion today. We reaffirm our commitment to progress the light rail network in our city, with construction to commence on the Gungahlin to city corridor in 2016. We remain rock solid behind that commitment we took at the last election and we are investing the resources needed to make it happen. Part of the motion brought forward by Mr Coe today is asking the Assembly to look at the issue of demand for light rail during peak hour and off-peak times. It will be little surprise to any of those involved in and aware of the details of those debates that during peak times the counter-flow, the flow travelling in the other direction, is lower. What a surprise! What a surprise that during the peak time the counter-flow is lower than those travelling to the workplace! Of course that is the case. It is certainly true that counter-peak demand and off-peak patronage demand are lower than during peak time and peak direction on any public transport system. It is the same on the bus network right now. Mr Coe also suggests that other routes in a potential ACT-wide network have not been considered by the government. We do not agree. Yes, we have made a commitment to deliver on the light rail corridor between the city and Gungahlin, but that is based on the outcomes of the Gungahlin to city transit corridor study, which supported the feasibility of light rail in the corridor. That study was built on previous work undertaken to develop the strategic public transport network identified in transport for Canberra. Transport for Canberra identifies five key corridors: Gungahlin to the city, Belconnen to the city, Tuggeranong-Woden to the city, Queanbeyan-Fyshwick to the city, and Woden-Weston Creek-Molonglo to the city. The ACT planning strategy also outlines how these corridors will be the subject of future land development opportunities. The government is undertaking the work needed to assess and finalise the detail of likely costs in relation to the procurement, delivery and operation of the light rail service, to satisfy itself of the viability and affordability of the project. As a consequence, one element of the work underway and being resourced by this government is the ongoing development of revised cost estimates based on the detailed design as it progresses through the reference design stage. Mr Coe seems to believe that you do one single assessment at a high level, and that is the final cost. He is badly informed again and shows his ignorance of the detailed assessment process needed to develop and finalise a business case for a project of this complexity, of this significance and magnitude. That costing will both inform and is informed by the detailed technical design of the project as it is progressed. The government will see the complementing of the expert costing advice through a program of value management, risk quantification and assessment of operating and maintenance costs. There is built into our program a series of checkpoints at each stage of the design process to challenge the construction and design options being put forward, to make sure that the cost estimates will take into account the timing of light rail infrastructure construction. The Capital Metro Agency has commenced its investigation of construction options and the mitigation of risks associated with construction. A key component of those risks is the impact on time frames for construction. Whilst it can be trite to simply trot out the line that time means money, in a risk quantification sense for this project, capital metro, it is very much the case. And that is why this assessment also includes decisions around procurement methodology which provide the best risk transfer solutions and which are still impacted by time to deliver. Impacts include financing and material costs, particularly with regard to those components exposed to international exchange rates and long lead times for delivery. Mr Coe also asserts that the operational costs are unknown. But these costs are, of course, naturally contingent upon the final design and service level parameters that are still under development as the project work progresses to a level of certainty sufficient to take this project to the market. As with the estimates for the capital costs of the project, detailed estimates of the operational costs associated with capital metro are currently being defined, based on the design and operating information as it is developed. Once again, Mr Coe asserts in a simplistic and ill-informed way that thisproject has not been properly scoped and worked through when it is exactly the opposite. This project is subject to a level of rigour and assessment which is appropriate for a project of this complexity and magnitude, both financially and technically. The model for the estimation of costs is extremely detailed and provides clarity on all aspects of day-to-day operation. A challenge review is planned to test assumptions and benchmarking used in the model and so secure further certainty around the operational and whole-of-life costs of the light rail service. This will help us as a community to further refine both the actual cost and any contingency necessary to be incorporated at this point in time. The government, through capital metro, will also undertake market benchmarking to ensure that the costs associated with the project are broadly consistent with those elsewhere and that, where appropriate, differences have been accounted for. Areas where there is the potential for early works and de-risking of the project prior to going to market are also being identified, and a potential program of these works is being further refined. This, again, gives us greater capacity to finalise and have confidence in relation to the cost estimates. So this project is making a very significant impact on how people view and think about this corridor. This agency, the Capital Metro Agency, is undertaking the work and the analysis needed to make it happen. But I think the most important thing to stress is that, in the Liberal Party's world, their view, as the city heads towards half a million people, is that buses will do the job. Mr Coe seems to think that buses along Northbourne, mixed with general traffic, are going to be the solution to the public transport need along the city to Gungahlin corridor. He thinks it is all right. He thinks it is all right for people to continue to catch the bus and be held up in general traffic, with no priority along the corridor, delaying both bus travel and motorists. It is just not good enough. It might suit his car-centric view of the world that the best solution to the transport task in our city is the continuing use of the private motor vehicle, but what he is doing by continuing to adopt that approach—just build more car parks, just build more lanes on roads; that will fix the problem—will not fix the problem. We need more people catching public transport. We need to reduce the cost to our community associated with the expansion and the adding of road infrastructure to our city and the continued reliance on large levels of surface car parking to meet that demand. We have to make a shift as a city. We have to shift away from our reliance on the private motor vehicle. The private motor vehicle will continue to play a critical role in the transport task for our city. But we need to reduce the need for people to pay to have a three or four-car household because there is no alternative. And we know this is increasingly common. If mum has a car, dad has a car and the teenager gets a car—if there are two teenagers in the house maybe they both get a car—those costs add up. Those costs add up on household budgets. Fuel costs, purchase costs, maintenance costs, registration and insurance costs—they all add up. In addition, we see fewer people walking; we see fewer people cycling; we see fewer people on the street. And we know what the impacts are of sedentary transport. Obesity, less activity in our community, the public health benefits that come from that—these are all the consequences of policy that is skewed towards sedentary transport choices. Light rail enlivens public spaces. Light rail encourages more people to walk and cycle to the public transport node, far more than buses do, because it delivers certainty. In a place like Gungahlin and the Gungahlin district, nine out of every 10 journeys—not just journeys to work but nine out of 10 journeys overall undertaken by Gungahlin households—are by private motor vehicle. We need to change that. And we need to change it for the financial and economic benefit of those households, for the health benefit of those households and for the vibrancy and the activity on the street in Gungahlin suburbs. We need to do it for all those reasons. Mr Coe has a different view. And his view consigns people to the use of the car, consigns them to a lack of choice and a lack of opportunity. When it comes to buses, he is quite happy for those buses to keep going down Northbourne Avenue, mixed in with the general traffic, with all the inconvenience, cost and waste and loss of time associated with that choice. That is his vision. That is not our vision. Our vision is for the capacity for this project to drive a faster pace of redevelopment along the corridor. What Mr Coe fails to recognise is that the development of light rail along this corridor shifts the pattern of development beyond business as usual. Mr Coe asserts: "Development is happening on the corridor already. You do not need light rail. "But the point is that it shifts that pattern of redevelopment activity beyond business as usual, beyond what is happening now, to a higher level, to a pace that would not otherwise be expected. Why is it that the Liberal Party oppose accelerated redevelopment along that corridor that brings jobs and economic opportunity for people in our city as well as houses and accommodation closer to where they work in other parts of the city, closer to their services and facilities, closer to better public transport? Why do they oppose those things? This project delivers those outcomes. We are proud to be a government that delivers those outcomes, and we will continue to work to deliver this very important project for the people of Canberra. The government will not be supporting this motion today. MR RATTENBURY (Molonglo) (4.11): I will not be supporting Mr Coe's motion today either, although I congratulate him on finally making it clear to the Assembly and to the community that the Canberra Liberals do not support light rail in our city. It is clear that they do not support the first stage of capital metro, which would see light rail operating between the Gungahlin town centre and Civic. And it is clear that they do not support the ongoing work of the light rail master plan that is currently looking at how light rail can be extended to other parts of Canberra in the future. Mr Coe argues that the light rail project does not stack up. My response is that Mr Coe's arguments are not only spurious but the Liberal Party's position on rail is simply, and basely, guided by the fact that they are in opposition and they are determined to oppose and denigrate, no matter what. That really is their mantra: "I oppose, therefore I am. "I accept, of course, that there are challenges to this project, and there is a lot of work to do to bring it to fruition. But I do not accept this polarising position of the Liberals that the project should be abandoned. I believe, like most Canberrans, I think, that light rail is a good idea. But they are not prepared to do the study; they are not prepared to do the work. They promise it at every election ... And they will have to look the electorate in the eye and tell them why they did not get it done. Despite its car-centred infrastructure, Canberra could shift commuting patterns through a light rail system linking its constituent nodes. She argued that Canberra can change its reliance on the car for ordinary commuting and "the obvious answer is a light rail system, or adaptation of transit oriented development". My suggestion for Canberra is that by taking into account the city's unique profile, we can devise an integrated urban design policy that would give meaning to the notion of a "sustainable city": one in which the development of a light rail transit system would play a crucial part. Again, how ironic it is that now that the light rail project is finally progressing, and progressing well, the Liberal Party quickly reinvents itself as the arch-enemy of light rail. Never mind what Mr Seselja or Mrs Dunne may have said, the key for the Canberra Liberals now is to find every way they can to denigrate light rail as part of a contrived political attack on the government. The points Mr Coe makes in his motion elucidate a one-sided and misinformed approach to this project. I will touch on several of them by way of illustration. Point (1)(b), for example, states that other routes in a potential ACT-wide network were not considered prior to an announcement on Gungahlin to the city. I believe that they were. For example, the 2008 submission to Infrastructure Australia looked at routes from Gungahlin to the city and further to Barton and Kingston; from the city to Belconnen; and from the city to Woden and beyond to Tuggeranong. The 2004 Kellogg Brown and Root study looked at a Gungahlin route, a Belconnen route, a Woden-Tuggeranong route and a Civic-Manuka route. Incidentally, this study assessed different transport modes for these corridors and it noted in its outcomes that light rail scored more highly than any other mode. I note that Mr Coe, with typical parochial double standards, tries to keep the option of light rail alive for his own electorate, suggesting that he wants a light rail line running from Belconnen into the city. In point (1)(c) Mr Coe says that the time frame and cost of the project could blow out. Is this supposed to be a reason for abandoning the capital metro project? Time and cost overruns are, of course, a risk on any project and any project manager will be working hard to safeguard against these risks. It is a risk on capital metro, just as it is a risk on the Majura parkway project. I note, however, that Mr Coe's approach to the Majura parkway project was to bring forward a motion calling on the government to expedite the project start date. All governments these days are now reluctant to borrow in order to fund what any sane person would regard as necessary, long-term investment ... the average polity must finance at least some of its wealth-building infrastructure from borrowings. Mrs Dunne is essentially advocating borrowing to buy long-term beneficial infrastructure. She goes on to talk about the possibilities of using value capture, private sector investment and PPPs—all elements that the government is currently investigating. Mr Coe says that there will be minimal demand for light rail against peak-hour traffic and in off-peak times. I would not say "'minimal"but it is obvious that off-peak and non-peak routes have less patronage than peak routes. It is just the same for the current bus network or, frankly, the road network. It is no reason to abandon public transport projects. This is also a challenge that light rail will help address as the redevelopment of the Northbourne corridor creates more density and destinations along the route. And that light rail "generates the best overall outcome for Canberra". The point is that light rail will bring more benefits, and benefits that bus rapid transit cannot achieve. The fact is, though, that light rail is more expensive. The question is whether we are willing to pay for these additional benefits. We say embracing these unique benefits is worth it and will change our city for the better. This is all that a cost-benefit analysis means—that it is cheaper to get the benefits of BRT. BRT receives a higher cost-benefit ratio in the initial assessment. However, BRT will not bring the same type of benefits as light rail. Mr Coe talks about the cost-benefit analysis as if it is conclusive and, in particular, as if it comprehensively models every aspect of the light rail project. It simply does not. He conveniently ignores the important explanation from the consultants that their cost-benefit analysis only assesses traditional transport benefits—things like travel-time savings, carbon emission reductions, vehicle operating costs and road accident costs. The consultants specifically point out that intangible or newer economic benefits are not included in the assessment, but note that these kinds of improvements would produce significant benefits to the Canberra community. Light rail in particular is a mode that generates significant benefits that fall into this non-traditional category. I have spoken about these in some detail in previous debates in this place. This is becoming relatively well established around Australia and there is now a lot of work occurring amongst transport analysts and economists to try to properly monetise some of the more intangible benefits of light rail projects. The number in the cost-benefit analysis is only one narrow way of looking at the project. It is by no means conclusive and we should not act like it is. 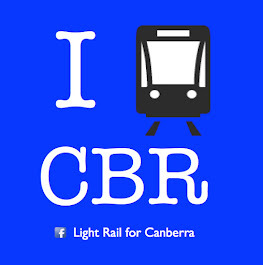 In conclusion, I do not support abandoning the light rail project as the Canberra Liberals suggest. I accept that there are plenty of challenges with the capital metro project and we need to continue to work through these to ensure the best outcome for Canberra. But I do not accept the misinformed and somewhat hysterical criticism that has been put forward today. Perhaps, to some extent, this is not just opposition for opposition's sake. Perhaps it reflects a real and deep belief of the Liberal Party that there is no place for sustainable transport options in Canberra. After all, we have heard Mr Coe express a belief that the concept of peak oil is bogus. We have heard him insist that Walter Burley Griffin designed Canberra specifically for the car—despite, I might add, information I have provided from the Walter Burley Griffin Society pointing out that this is wrong. Perhaps it is about not worrying about reducing carbon emissions in the future, or running light rail on renewable energy—and we know the position that has been put forward frequently by the opposition on renewable energy initiatives. My challenge to the Liberal Party is to actually look at the project fairly and objectively, and to look at the enormous opportunities and benefits it will bring to Canberra. By all means examine and highlight the challenges, but just do not base your position on a base political need, as this just does a disservice to the community and to the future of this city. This project is one that will bring substantial change for Canberra. It will deliver new economic opportunities. It will deliver environmental and economic benefits for our city. It is one that I think the community does support and sees the long-term benefits that this project will bring for our city. MR HANSON (Molonglo—Leader of the Opposition) (4.22): I thank Mr Coe for bringing this motion before the Assembly today. It is a very important motion. It is a line in the sand. It makes our position clear. The Liberal Party has engaged in a very deliberative process over the last 18 months in looking at this proposal. Mr Coe has raised numerous questions and has put in FOIs. We have had many deliberations, and we have talked to experts and consultants. It is an informed decision that we have come to today, Madam Assistant Speaker. And it is not about whether you like rail or do not like rail. It is a matter of whether the business case has been made for what the government are proposing—stage 1 of their light rail system, which is essentially a tram track between Civic and Gungahlin. When you look at all the factors, the conclusion that we have come to, and I would argue the conclusion that Canberrans themselves are coming to as they become apprised of the facts, as they understand the business case or the lack thereof, is that it simply does not stack up. It is pretty clear that this is ideologically driven and the key proponents who are driving this are Shane Rattenbury and Simon Corbell, who think that this is some form of green crusade. We know that from their comments they want to be at the fringe of the environmental debate. The reality is, though, that there is little if no difference between buses as we have them and a light rail system from an environmental perspective. But it does give a grand appearance that Simon Corbell and Shane Rattenbury are making some huge difference. It is a bit like Simon Corbell's banning of lightweight plastic bags—essentially there was an admission it will make no difference but it will give you the feeling that something good is happening. There is a lot of "feel good"about a light rail system. A lot of people, on the surface, without looking at those facts, would probably feel good about it. But when you look at the issues, as I said, the case has not been made. The cost is extraordinary—$614 million of capital expenditure. It will be the most expensive project ever undertaken by the ACT government. It is equivalent to $4½ thousand a household. I ask you, Madam Assistant Speaker, whether any of the members can really think of any substantive projects that this government has put forward that have not been subject to significant delay and budget blowout. The Cotter Dam is, of course, a very recent example, but even now it would appear that the Majura parkway is heading into trouble. These are complex programs and I have no confidence that it will remain at that level. It is clear when you look at our budget and the debt position this government is in that this is not the time when we should be going out and borrowing hundreds and hundreds of millions of dollars. The only other way, it would seem, to fund it, if they do not fund it themselves, is by way of some sort of PPP. Are we going to find a situation where deals are done with a private provider to give them a gift of land or whatever it might be? There is always an opportunity cost, and the reality is that ultimately the ACT taxpayers will pay for this. They will not just pay for the capital cost and the ongoing interest on that, or the loss of income that would have otherwise come through assets that are used to entice a private provider, but there are the operational costs. What are the operational costs? The government are saying, "We're moving ahead with this. "They are investing millions of dollars already in the light rail authority. Meanwhile they say, "We don't know what it's going to cost. We couldn't tell you what a ticket price is. We don't know what this is going to cost every year. "It would be premature, apparently, according to the minister, to say what the operational cost would be. I think it is extraordinary. We have to look at what the economic benefit would be. I actually heard Minister Barr on the radio the other day say how light rail will generate an enormous amount of extra economic benefit for the ACT. Well, it will not. There will be some building activity whilst it is being constructed, but you could do that with any project. If you are spreading $614 million around, there would be a lot of better ways to create economic activity and benefit from expending that sort of capital money. Simply reducing or potentially reducing the travel time of a limited number of Canberrans from point A to point B is not going to have any measurable economic benefit to this city. Indeed, as Mr Coe has outlined on numerous occasions, when you do the comparison—and it is in the reports—between light rail and bus rapid transit, in actual fact buses win out. I think there is a fourfold benefit for buses and a twofold for light rail. So there really is not a case that can be made when it comes to the economic benefit. This is not going to increase much flexibility for people either. As Andrew Barr said on the radio the other day, on 666, they will cancel the buses. So we have to be very careful that we are maintaining flexibility in our system. As Mr Coe has outlined, why is it that the government has picked the city to Gungahlin? What would normally occur is that there would be a plan conducted to map out a system and then, for the most appropriate and best economic case, the most affordable or the one that is going to reap the best economic benefit, that route would have been selected. Instead we have the route that goes from Civic to Gungahlin. Clearly, when you look at the other routes, there is not a case to be made that that is the right route. It would appear that the politics have got in the way. Who is it, Madam Assistant Speaker, that sits in that government over there that protects the ministers regardless of what case is mounted—we saw that yesterday—so that he can get light rail? It is the man that lives in and gets his support from the inner north, Mr Rattenbury. This is a real piece of electoral sugar for Shane Rattenbury. Let us be in no doubt that he is the biggest winner out of this. He is a great beneficiary and this government is prepared to pay $614 million to keep Shane Rattenbury in the cabinet because Shane Rattenbury knows this is a magnificent thing for him electorally—or he thinks that is the case. There does not seem to be any other argument coming from that side. The other point that Mrs Jones, a great advocate for Gungahlin, makes is that when you look at where this government is struggling to resonate, is struggling to connect with the electorate, Gungahlin clearly is a vulnerability. So this is about political expediency to try to sweeten the deal for Shane Rattenbury in the inner north and the people of Gungahlin. The problem—and this is where the government will come unstuck—is that the good folk of Gungahlin are pretty smart. When they see what this is costing, when they start to understand what this means, when they realise that they have to drive to Mitchell to get onto that train if they are doing the park and ride, when they realise the difference between what they have already got with buses and what they will get with light rail, the people of Gungahlin will be saying, "Hang on. This is not what we're signing up to here." MRS JONES (Molonglo) (4.32): I am pleased to add my voice in support Mr Coe's motion calling for putting off the light rail construction and improving private and public transport between Gungahlin and the city. It is a strange sort of a marriage that the Greens and Labor have concocted to form government in the ACT. It seems that the glory box prepared for this wedding is the light rail development. Mr Rattenbury was wondering about the ceremony and how it would go ahead. After the election they sat down and negotiated. It seems that, at any price, in that glory box will be a train set—a gold-plated train set. The price that we pay is a lack of roads infrastructure in places like Gungahlin and a lack of bus infrastructure in places like Weston Creek. The marriage has become so strong now that Mr Rattenbury is being given his speaking notes from the Chief Minister's office. This morning after the Chief Minister left and Mr Rattenbury came in, he was using the same lines that the Chief Minister was—workshopped lines about Mr Hanson's speech. It seems that party room discussions on the other side are very productive and that speaking notes are given out for all to follow. Mr Rattenbury, in his commitment to this union, has decided to follow the script. I do not think Ms Le Couteur, if she was elected here, would be so easily bought. The plan to build light rail from Gungahlin to the city at this point in time is an unreasonable risk of taxpayers' money and it is also an attempt at pork-barrelling. For Mr Rattenbury, it may be an ideological preference, but for the government it is a matter of winning seats in Gungahlin. This government has lost sight of delivering on the needs of all Canberrans. The planned light rail will be paid for by all ACT taxpayers, but it will not benefit the people who pay their rates and live in Weston Creek, for example. How will it help them get to work? How will it help them get around? We still do not have a direct bus from Weston Creek to Tuggeranong or a bus from Weston Creek to Belconnen. Where is the money to spend on that? Will people in Woden benefit from this light rail system? I do not think so. Ratepayers living in Kambah, Torrens and Farrer will not be able to use the light rail system that they will have to pay for. People in Amaroo will still have to use three modes of transport to get to Russell offices, two modes of transport to get to work in the city, three modes of transport to get to work in Woden and perhaps four modes of transport to arrive at Tuggeranong for work. The light rail system will not resolve the gridlock for half a day on Horse Park Drive or Gundaroo Drive. These roads will still have to be used just as much as ever to get people to the town centre or elsewhere. In the last campaign, the ALP candidate up in Gungahlin stood at the crossing and promised people who asked about the duplication of Horse Park Drive that this government would deliver a duplication of that road. I challenge members of the government to drive out to Forde, Amaroo or Bonner and to drive to Civic at 8 am or 8.30 am. I challenge them to drive out to Ngunnawal, Casey or south Amaroo and try to get to the GDE via Gundaroo Drive any time from 7 am to 10 am and they will see my point. At a cost of $614 million, plus interest, plus operational costs, which are not yet known, this is another grand plan from the government whilst the basic services that ratepayers expect are neglected and ignored. The focus of the government is not right. The Canberra Liberals would put the focus back on to getting the basics right so that people can get on with living their lives. Instead of pursuing a public transport model which is so unrealistic with the urban sprawl we currently have, let us deliver the basics before we build the gold-plated tram set for the glory box which will require payment from all Canberrans for the benefit of only very few. MS LAWDER (Brindabella) (4.36): I rise to support Mr Coe's motion today. It is quite concerning to me that the government is planning to spend at least $614 million on a light rail system that will only service a very small portion of our population and a very small area. As a member for Brindabella, I must pass on the many, many comments I have received from my constituents who will be paying for light rail but in no way seeing the benefit of it. I am concerned that the ACT government's own figures demonstrate that there would be a better economic return for bus rapid transport than there would be for the implementation of light rail. I support the call today for the light rail project to be abandoned and for the ACT government to not spend over $600 million they do not have on a system that their own figures show would not provide the greatest economic benefit to our city. There is a time and a place for light rail, but we do not currently have the population to justify this. We do not have the density and the research does not support it. Now is not the time, and the short run between the city and Gungahlin is not the place. When you are thinking of dollars of this magnitude, we have to think about what else $600 million-plus could be spent on. Think of our education system, the health system or providing more affordable housing. We could create a very effective and efficient rapid bus transport system. The fact is, though, we do not have $600 million to throw around. What else does it mean? It means that we will have a significant interest bill to cover every year, which could be in excess of $25 million per annum. Then we must also think of what else we could spend $25 million per year on. I am concerned that the government is supporting light rail at any cost. The government wants the residents of the ACT to pay for this light rail network at any cost. They do not know the operational costs once it is completed, nor does it seem to matter to them how much the costs might blow out on this project. They have said it themselves; this government will push forward with this project at any cost. Madam Deputy Speaker, that is of grave concern to me. I am here to represent my constituents. Just last night at the Tuggeranong Community Council there was a show of hands to determine support for light rail, and the great majority did not support it. This was only a straw poll, not a scientific survey of any sort. Nevertheless, it is indicative of the people that I talk with each day. I cannot support light rail at this time in Canberra if I am to do the best by my constituents. I support Mr Coe 100 per cent in his motion today. It is time we focused on doing the best things for the residents of Canberra. MR COE (Ginninderra) (4.39), in reply: I would like to thank Mr Hanson, Ms Lawder, Mrs Jones and others for their contributions to this debate. It is a debate that we should be having in this place. The expenditure of $614 million plus interest plus recurrent costs is something that is highly appropriate for this chamber to deliberate on. I am sure we will be doing so many times into the future on this issue. It is interesting to note how captive Mr Rattenbury—or perhaps more so, Mr Rattenbury's office—is to this government. I would think that nobody in this place would be more disappointed and more unhappy with the government's handling of the light rail project than Mr Rattenbury. He is the one that wants to be defined by projects such as light rail. Therefore, when the government stuffs up projects like this one it potentially is a personal reflection on Mr Rattenbury's mission to deliver light rail in Canberra. I said earlier that the way the government is going about this project and how they have selected the initial route for a possible future network is potentially doing a disservice to light rail in Canberra. You can be an advocate of light rail but still be critical about how this government is making decisions. It is all very well for Mr Rattenbury to say to me, "You need to be objective. "We are being objective. Look at all the reports; look at all the information. Does Mr Rattenbury honestly believe that the government has made the case for light rail? Perhaps it is he, Mr Rattenbury, and others in this place that are blindly following the government and Mr Corbell's leadership on this issue when they all know that this project is not being managed very well. Mr Rattenbury said that there were problems with the cost-benefit analysis. That is the analysis that this government submitted to Infrastructure Australia. It does include an environmental impact. It does include time savings. It does include noise. It does include numerous other factors and it still said that bus rapid transit was better. Mr Rattenbury asked me to be objective and then says that I need to look at the intangibles. It is very hard to be objective and to look at intangibles, and he failed to actually mention what they are. I urge everyone in this place to be very careful about blindly following the government on this project—whether it is simply in this chamber, whether it is in committee or perhaps even in party rooms. I urge everyone in this chamber to scrutinise the project so that we will get the best possible outcome. If the government is going to deliver this and if the government genuinely starts to deliver this, then we will scrutinise it to make sure we get the best possible outcome. But it still does not mean that the project, based on the information we have now, is enough to commit to. It simply is not. We do believe that we should be getting adequate information about the project before we decide on whether to go ahead with it or not. But all the information they had at the time of committing to this said that bus rapid transit was a better option. Yet somehow $614 million has been committed to. I imagine that in a month's time we are going to see in the budget some of the capital being put in there, because to date it is unfunded. Madam Deputy Speaker, for yourself in Ginninderra which, of course, includes three suburbs of Gungahlin, for Dr Bourke, for Ms Berry and for Mrs Dunne in my electorate in Ginninderra, I think we have got to be looking at this. Are we doing the best thing possible for our electorate? Even those members representing Molonglo, are they doing the best thing possible for their electorate when you consider the cost of $614 million plus interest plus recurrent costs? How many people are actually going to be within walking distance of light rail? How many people? Why cannot the government tell me this, because I have asked this? They cannot tell me. These are core questions that you would think they would have answers to. There are many, many problems with the case the government has outlined to date. If the government has this really compelling case, why are they not conveying it? Why are they not conveying it? We all know that there are people in the government, people who work in government departments, who are going around town saying that this project is a disaster. We all know it. If people in government, towards the very top of government agencies, are saying this—presumably they are privileged to more information than we are—I think that is of real concern. We believe that at this stage in our history, in our development, we are better placed to properly pursue buses as the primary mode of public transport. We believe they provide the most versatile service and a very comparable service by almost any indicator. By way of cost they are considerably cheaper; considerably cheaper. It is for that reason we think that we should be pursuing buses at this time, but we should also maintain the corridors so that at future points in our development we can move to another mode if need be. I urge members to support the motion.